Summer is upon us and we are hoping that you may be more motivated than usual to do your abdominal exercises to get ready for swimsuit season! 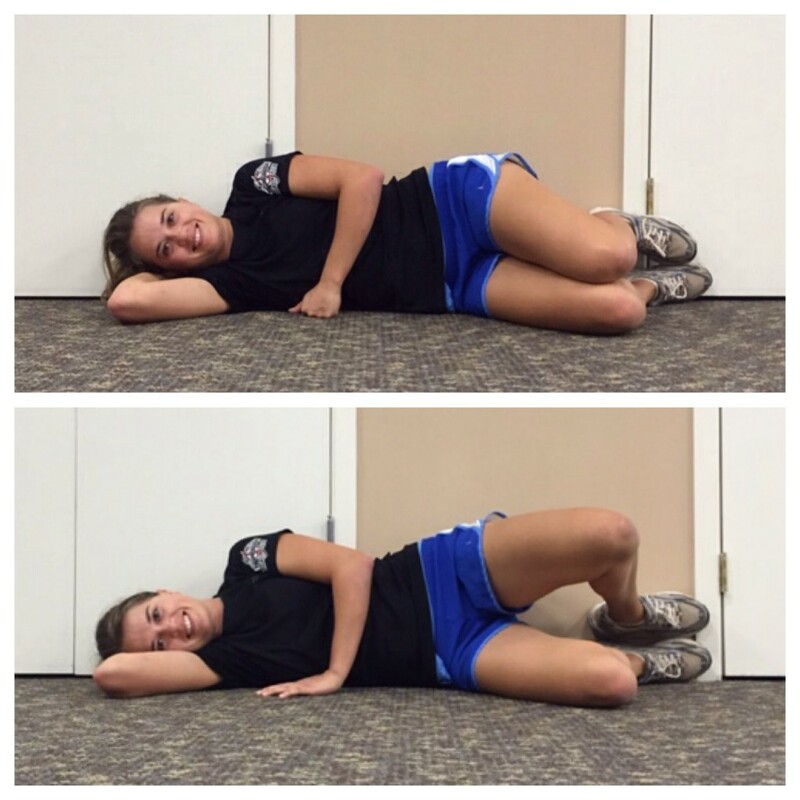 The added bonus is that having a stronger “core” will help prevent injury to your lower back. What many people don’t know is that doing the wrong core strengthening exercises or even too many of the right ones can actually injure your back. How frustrating is that?? In this newsletter, we will cover how to know if your abdominal exercise routine is right for you! The commonly referenced core muscles consist of several abdominal, buttock, and lower back muscles. Collectively, these muscles work together to support your back so that the strain of everyday activities and exercise is not absorbed solely by the spine. Ideally, the musculature would be the predominant absorber of shock and torque so that the more delicate spine is preserved, decreasing the chance of injury. 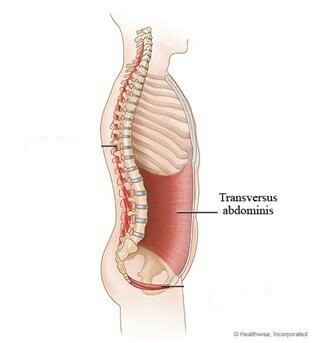 The base muscle of our core, and arguably the most important of them, is the transversus abdominus (TA). It is the deepest of our abdominal muscles and wraps from one side of our spine around to the other, similar to a corset. Like a corset, it helps provide a stabilizing pressure to the abdominal contents and the spine, decreasing the forces that wear down the vertebral joints. 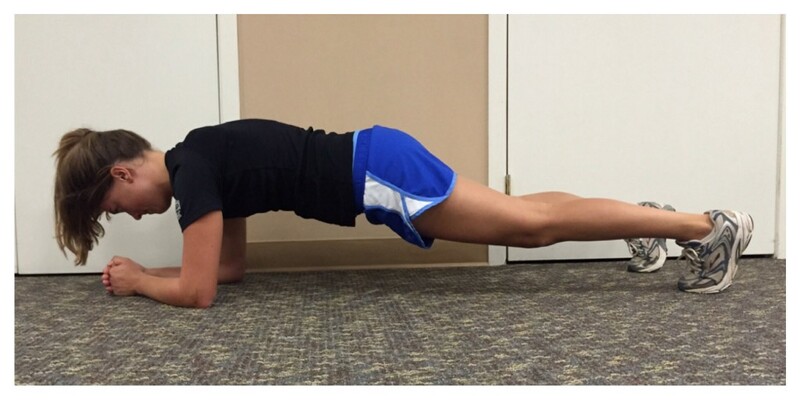 Learning to contract this muscle is critical to doing core strengthening exercises properly. Check out the video below to learn how to contract your TA muscle. There are so many “core” exercises out there. How do I know which ones to do? We are all weak in one or more of our core muscles and targeting the weak ones is the name of the strengthening game. Most people enjoy doing exercise that they are good at and this human tendency is no different with core strengthening. Usually the exercise that seems hardest for you (and maybe not the person working out next to you) is where you have a weakness that needs to be addressed. We are all guilty of doing just the opposite and avoiding it! Try doing a few different kinds of abdominal, buttock, and back exercises to see what feels most challenging. 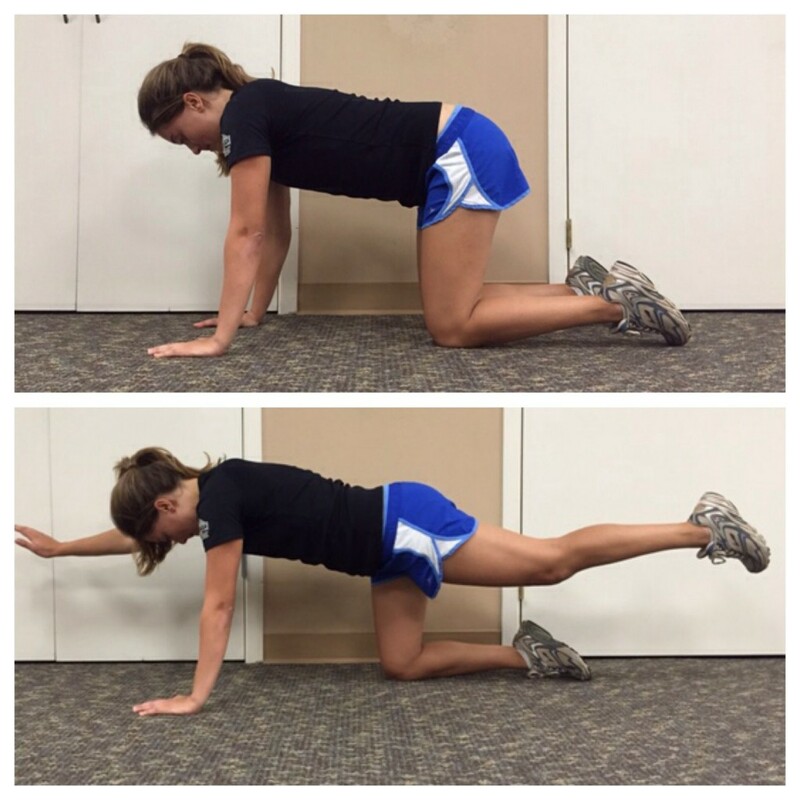 We’ve given you a few pictures and descriptions of exercises below to get you started. Once you find your weak areas, start by trying to get a little better at those exercises. These are basic exercises, but they are a great starting point. 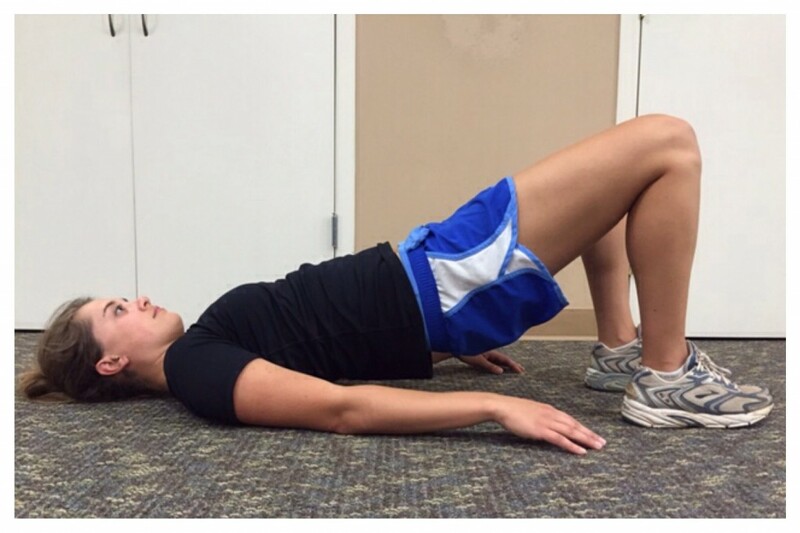 Remember, many people get hurt doing core strengthening that is too difficult for them. Be sure to keep your hips stacked on top of each other. Lift your top knee, making sure not to roll backwards. Engage your TAs and slowly bring one knee up to table-top position. Do not let your pelvis rock and lift the second let up. Lower one leg at a time. Start on all fours and tighten your TAs. Keeping your spine in a straight line and your core engaged, try alternating one leg at a time. After you are able to do that, try alternating opposite arms and legs at the same time. 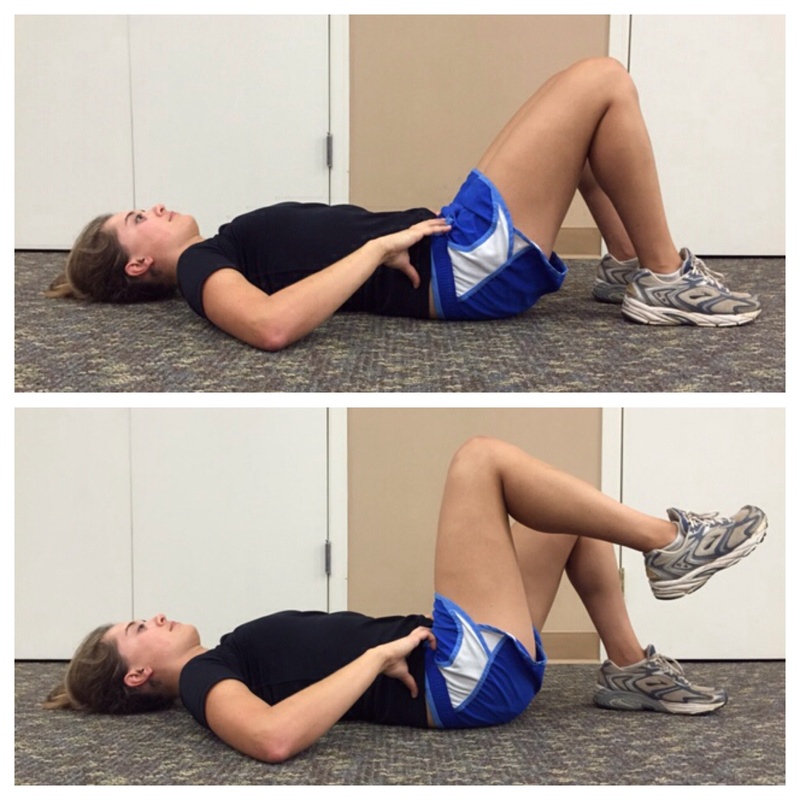 Keep your abdominals tight and your back in a neutral position. Lift your buttock one fist height off the floor. Engage your TAs and keep your spine in a straight line. The best rule of thumb with any strengthening exercise is that you need to work to a point of fatiguing the muscle to make it stronger. This may mean five repetitions or maybe it’s as many as twenty. You should be able to do a few repetitions without difficulty and be able to continue until that specific muscle is fatigued, but not to the point of starting to feel other ones kicking in. This is really important and often ignored as people try to keep up with the person next to them. A good way of knowing if an exercise is too hard is to note that if just a few repetitions are very difficult to do without compensating, then the exercise is too tough. The key to knowing whether the exercise is doing the right thing is knowing where you are supposed to be feeling it. For example, if you are doing the “bridge” exercise, you should feel your buttocks and abdominals working, not your back. Without exception, core exercises should not make your lower back feel like it’s working, fatiguing, sore, or painful. This is surprising to many of our patients! It’s worth asking a physical therapist to help you develop a program if you’ve had a history of back pain or if you can’t seem to find the right things to do. We are the experts in this core stability and prevention of injury and are here to help. Enjoy your summer with a stronger core and back!